Let’s take a look at some of the challenging areas that have been selected for wholistic outreach. church members and leaders who are working in these cities. the millions of people yet to be reached with the gospel. the world divisions as they seek new and creative ways to reach the large cities in their territories. the thousands of outreach activities and reaping events currently taking place. A port city, Lagos is located on the southern coast of Nigeria. It has an estimated population of 21 million people, and its economic success is attracting more people all the time. Yet here, in one of the largest cities of the world, there are only about 100 Adventist churches and 12,000 Adventist believers. The capital of the Czech Republic is also its largest city. Founded in the ninth century, Prague is a mix of contemporary and historical architecture. Although it has more than 1.4 million inhabitants, you’ll find fewer than 10 Adventist churches here and only about 700 members. That’s a fraction of 1 percent of the population. Built on the ruins of Tenochtitlan, on what was once an island, Mexico City is the most populous metropolitan area in the Western Hemisphere with 23.6 million people. There are more than 200 churches and nearly 54,000 Seventh-day Adventists here. That’s less than a quarter of 1 percent of the population. The city of Kinshasa is the capital of the Democratic Republic of the Congo. Here Adventists are using unique methods, such as street music, to reach people in their community. Kinshasa’s population is approaching 10 million people. It has nearly 70 churches and about 8,000 Adventists—less than 0.1 percent of the population. Moscow, the capital of Russia, is a showcase for Russian art and culture. One of the most recognizable buildings in the world, Saint Basil’s Cathedral dominates the view over Red Square, which is itself a world heritage site. Moscow has a population of some 11 million people. Fewer than 3,000 Adventists worship in 15 churches. Not far from Moscow is Kiev, the capital of Ukraine. A bustling city, Kiev is home to world-class art and architecture and is one of the oldest cities in eastern Europe.Recent events there introduced new challenges, but perhaps new opportunities for sharing the gospel. There are some 3.2 million people living in Kiev and slightly more than 4,000 Adventists worshipping in 25 churches. In the late 1500s the Portuguese founded Luanda, the capital of Angola. Located on the Atlantic coast, it has been rebuilding after years of civil war. Today, Luanda has a population of some 6 million people with 74,000 Adventists worshipping in 270 churches. 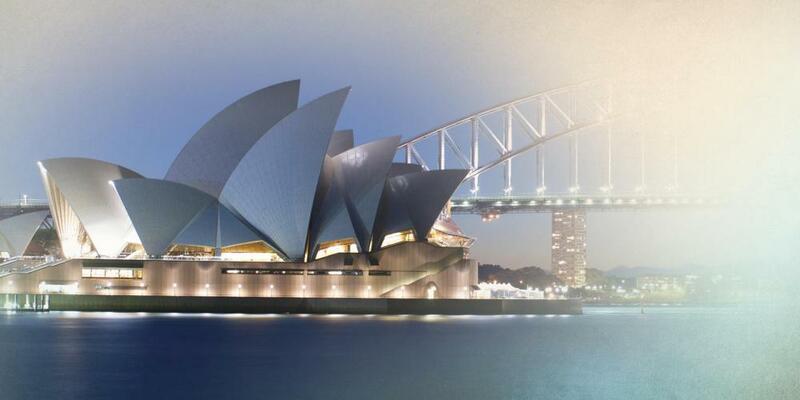 Sydney, Australia attracts people from all over the globe. It has one of the deepest harbors in the world, and is known for the Sydney Harbour Bridge and the iconic sails of the Sydney Opera House. Sydney has a population of 4.7 million people, with some 9,000 Adventists worshipping in 85 churches and companies. Buenos Aires, the capital of Argentina, is one of the largest metropolitan areas in South America. First settled in the 1500s, Greater Buenos Aires now has a population of some 14.5 million people. The Seventh-day Adventist Church has been growing here, with more than 160 churches and more than 22,000 members. Yet, that’s still less than 0.2 percent of the population. London, England, is well known for its historical landmarks and multi-cultural population. There are 95 Seventh-day Adventist churches here, but the growing challenge of secularism makes reaching people difficult. Among the 13.3 million people of London, you’ll find only 15,000 Adventists. India has a vast urban landscape and is home to some of the most populated cities on earth. The Mumbai metropolitan region, formerly known as Bombay, is one of the largest in India with a population of 21.2 million people. There are some 11,000 Seventh-day Adventists members worshipping in 74 churches. Christians are a minority in Mumbai and in many other cities in this region of the world. * This is a partial list of selected cities. Some locations are subject to change. •To watch the “Meet the Cities” video, visit www.Mission360Mag.org/Videos. •To learn more about Mission to the Cities, visit MissionToTheCities.org.